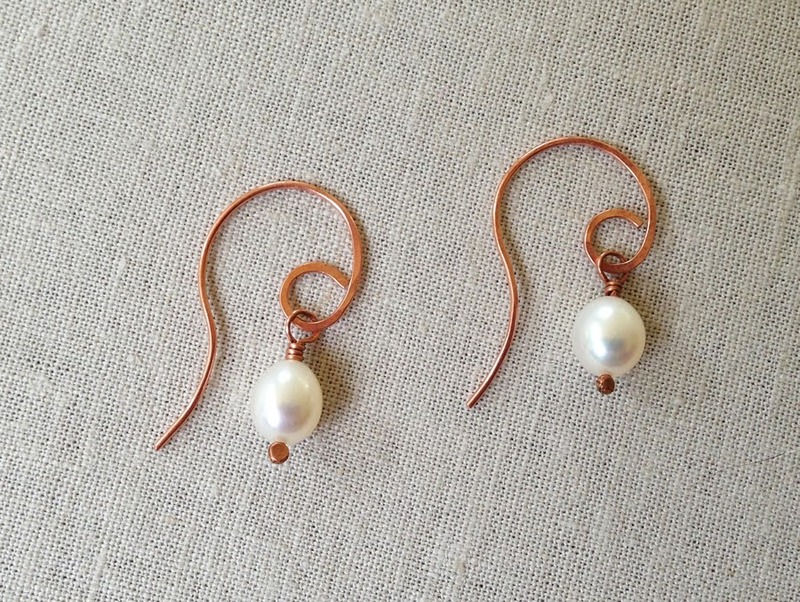 Today's project combines two of my favorite things in jewelry. 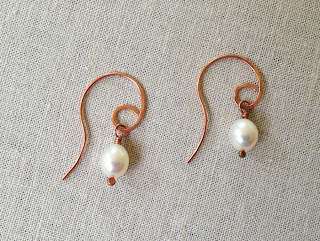 The simplicity of pearl earrings and unique handmade ear wires. 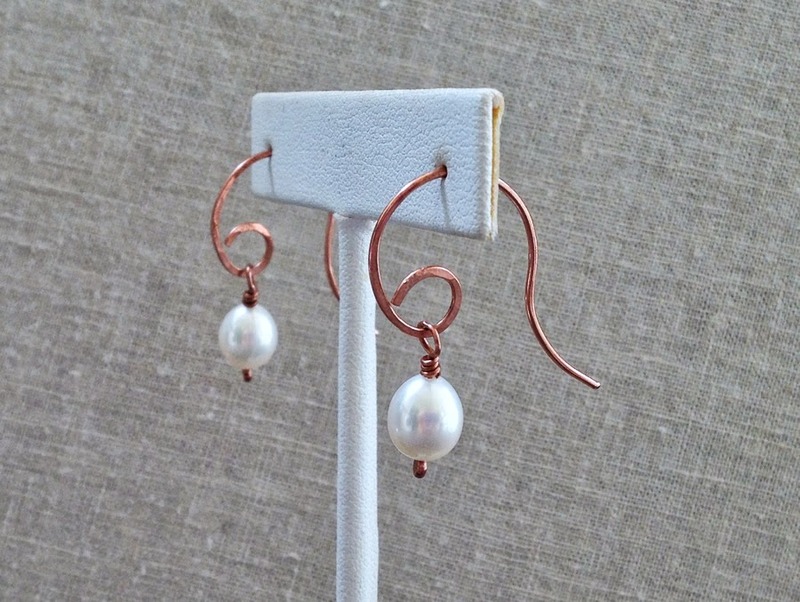 There are so many options when making your own earring findings - it is an area that I love to explore. The ear wire shape is not my own creation (few things are! 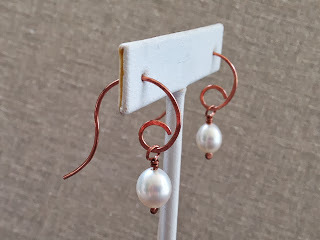 ), but they are a variation of... you guessed it - some earrings on my Pinterest Earring Inspiration board. The original earrings are from Bloomingdale's and are considerably more refined than my attempt. No worries though - I wasn't really going for a copy - just an interpretation. 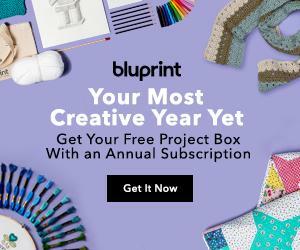 Here's my big 'Oops' on this project. 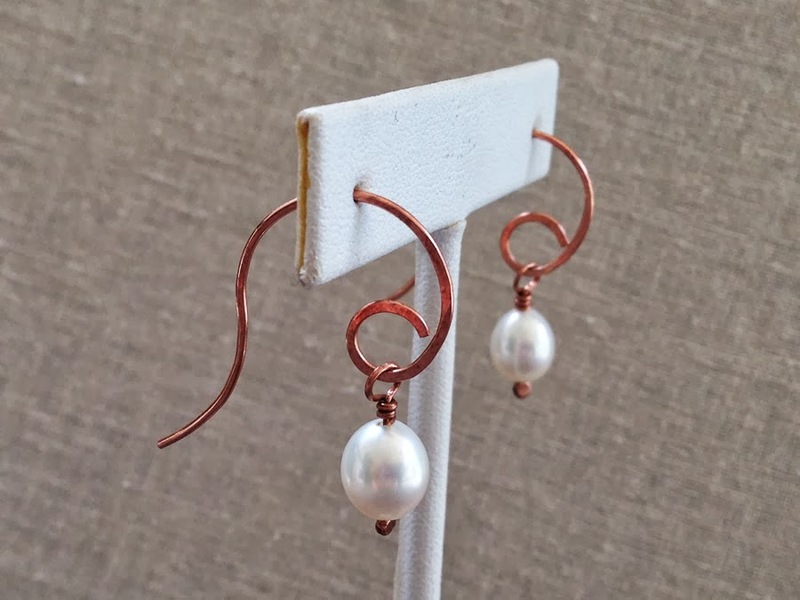 I made my first pair of ear wires and I thought I had the process down. 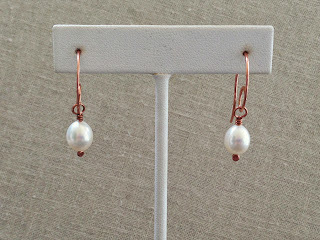 Make the loop for the pearl dangle, hammer, and then make the rest of the curve shape of the earring. So, I made about 5 pairs like that - and tumbled them. And they were wonky. The curves of the ear wires weren't smooth and flowing enough and I think that's a key element of the design. So, I had to go back to square one. It was much better when I made the main curve of the earring first, and then the loops - even though it was more difficult to hammer in the tighter area of the curve. 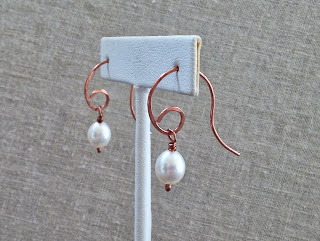 The headpins are also handmade - balled ends that I hammered flat to make a small circle. 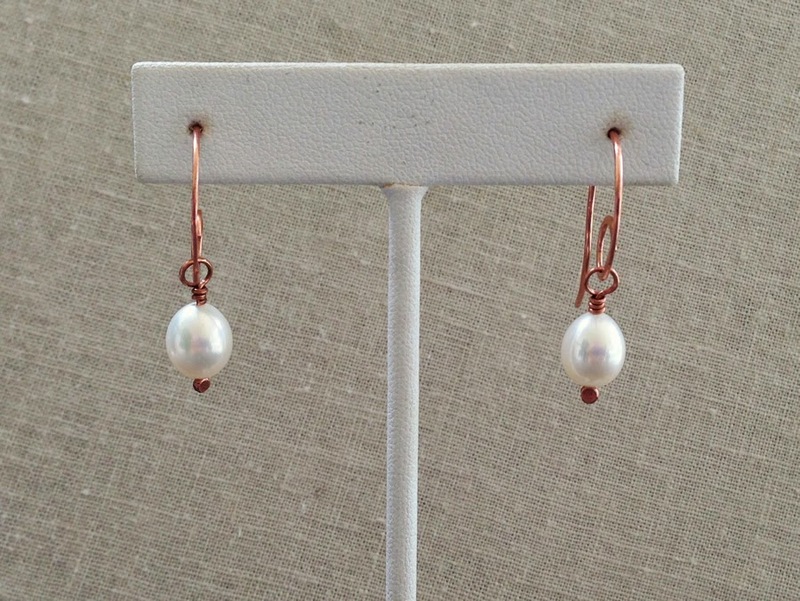 The last step is to add some antique patina to these earrings as a finishing touch.